Since the prelaunch ended, here are my sales results for the month of February. Apple Pages video tutorial: The article and video I mentioned by Regina Anaejionu will teach you how to design books in Apple Pages. Social Splash: Need help finding and booking your dream clients? You can pre-order my book, Social Splash, for $24 before the price goes up on March 1st. 3 Day Create: In the audio lesson, I mentioned my process of book creation: writing the module ideas on post-its, then creating the book outline in a spreadsheet, then writing the book. I got the process from Regina's book, 3 Day Create. The Shelancer business plan: Need to create an income goal for the year? Use my business planner! Need to cut down on the time you spend on social media? Schedule your posts in advance! My favourite social scheduling websites are Coschedule and Buffer. Coschedule is particularly awesome for Wordpress users because you can schedule your blog posts AND your social media posts from it, but Squarespace users can use it too. Inbox Pause and Boomerang: You can use either of these Gmail add-ons to pause your inbox at the end of the work day. No emails on the evenings- woo! Monthly Duty Day: I got this idea from Heart Love Always. Check out her blog post to see the kind of things she does on her duty days! The Day Designer: This planner is beautiful and it has some awesome worksheets at the front to help you plan for the year ahead. It has a hefty price tag of £65 but it's a nice treat and a good investment. Paperchase: UK Shelancers, if you're looking for a basic planner then have a look at Paperchase. This is the planner I purchased last year and I loved it. This year I printed out some planner sheets and I bought this goooorgeous binder from Paperchase to put the sheets in. The Simplified Planner: Simple and beautiful, but a little on the pricy side. Paper & Prosper: They have a fantastic planner that is really actionable and will really help you make big plans. Unfortunately, it's a little on the ugly side. No need to fear though because you can buy their sheets, print them and put them in a cute binder! Click here to download my welcome package! Canva: If you're not confident using professional design programs like Photoshop and InDesign, Canva is the next best way to create beautiful PDFs. Canva has dozens of templates you can choose from, and allows you to add your own photos and edit the text and color styles. 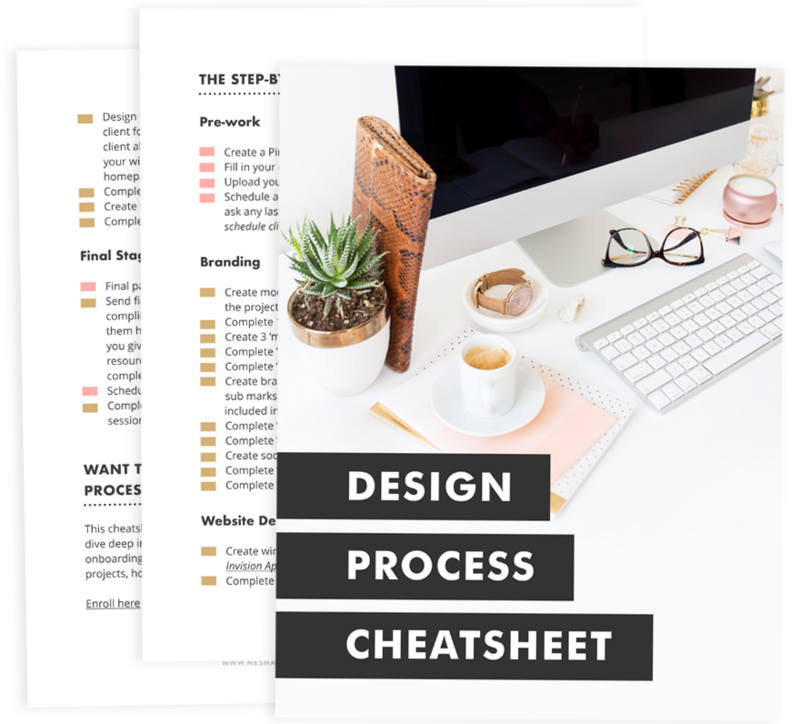 It's the PERFECT way to create a quick and pretty PDF in 30 minutes. Adobe: Many of you already use the Adobe suite (being designers and all) but for those of you who are new to this, here's the link to the Adobe website. These days, you can pay £30 a month (or something crazy like that) for the whole Adobe suite. So affordable, and so worth it!